French authorities announced that overnight, they conducted 118 raids and arrested at least 18. 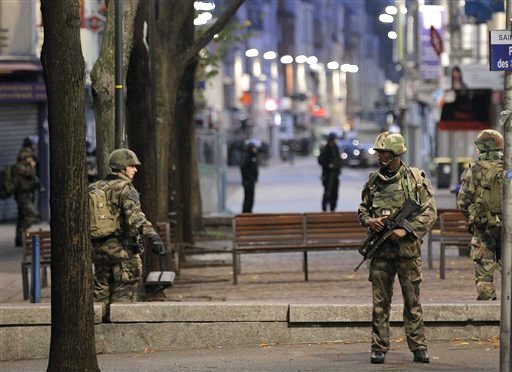 The most dramatic raid took place in St. Denis, where police and military attacked an apartment where the leader of the Paris attacks, Abdelhamid Abaaoud, was believed to be hiding. At least two people died, including a woman who blew herself up with a suicide vest, but at this moment it is not clear whether Abaaoud was killed or captured, or is still at large. “Vibrant and ethnically diverse” is frequently-heard code that we all can crack, as are references to “violent youths.” My guess is that at this point, the French think they have about all the vibrant ethnic diversity they need.